$15,489.99 set of 5 List: $28,642.00, You Save: $13,152.01! 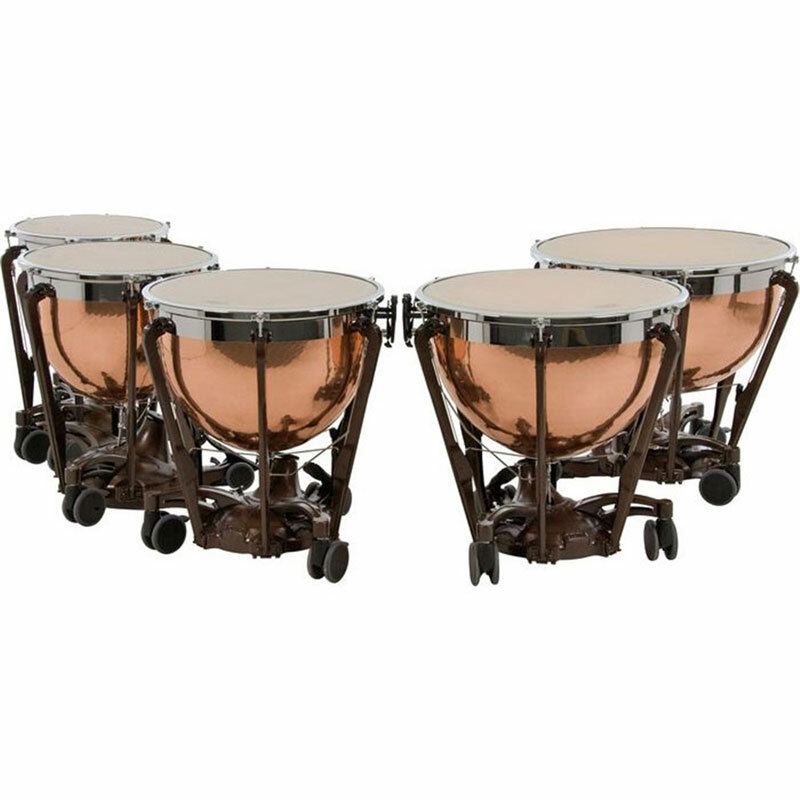 The 20"/23"/26"/29"/32" Set of Adams Professional Generation II Hammered Cambered Copper Timpani brings a professional-level sound to school music programs and budget-minded timpanists. Made of resonant, dark copper, these bowls are parabolic in shape to create a brighter, more cutting sound than a cambered shape.